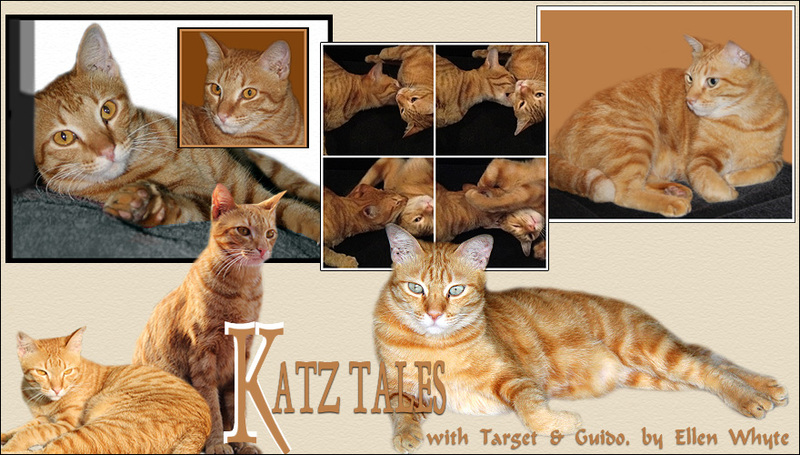 Sorry to hear that Katz Tales will only be published once a month! I get to only read it once a month. Sigh. Anyway, i have posted up Yvonne's post and going to buy some t-shirts myself. Once i get my things done. I also hope Doji was found already? Happy New Year. Rubs for Au and Target. Ivory reminds me of a sweet cat I used to like a lot when I was volunteering for PAWS back in 2004. His name is Flag and he simply loves to meow. I'd let him out of his cage when my duties were done. Unlike other cats who couldn't wait to bolt out of their cages, Flag would stay around anyone who released him and talked and talked....there's no way of stopping him from meowing and purring. Perhaps it was his way of telling us how his day was and the goings-on in the cattery when we weren't around. It was his sweet demeanor that got him adopted by someone who had then given him as a gift to the family of the ambassador of the Czech republic. I hope he brings joy to his new family as he did to me for a fleeting moment. Wish i could bring Ivory home. She is so lovely. I need to move into a bigger house in a quieter area so I could adopt all the fuzzies I want. I wonder why this is -- my cats rarely vocalise with each other, only with us humans. They seem to rely on non-verbal means of communication with each other. My housemates and I think it's telepathy.